Our brownie range is now six bakes strong. To celebrate, we've decided to expand Brownie Points so you can now redeem your points across our ENTIRE brownie range (not just the Ultimate Brownie). There is a tiny, weeny, little 'but' coming up, as you will now need to use 50 points each time you claim a tray, which we still think is a steal to receive one of our exceeeeeedingly good brownie trays for free. Find out more about Brownie Points. Why not start building your points now? 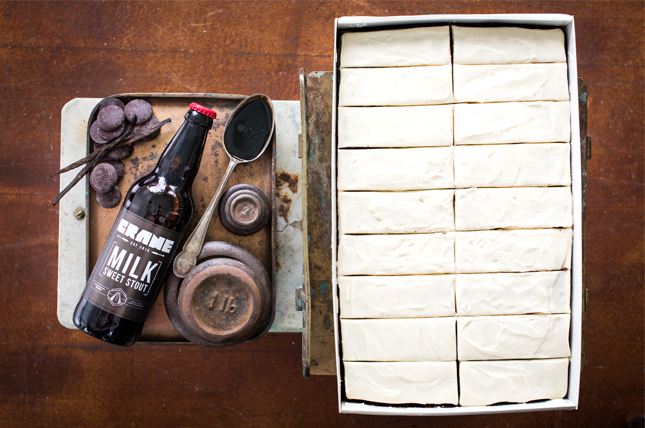 Take a look at our latest seasonal specials including the decadent Chocolate Milk Stout TrayCake.